Every year for the last 3 years, the global Mexican beer brand Corona has hosted thousands of gatherings worldwide to promote its product and lifestyle. 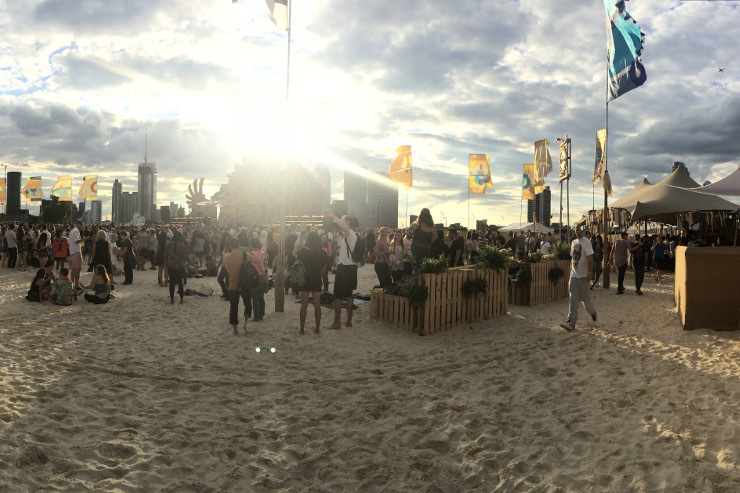 The Corona SunSets Beach events have appeared in iconic locations around the world, atop mountains, in city centres and on famous beaches. 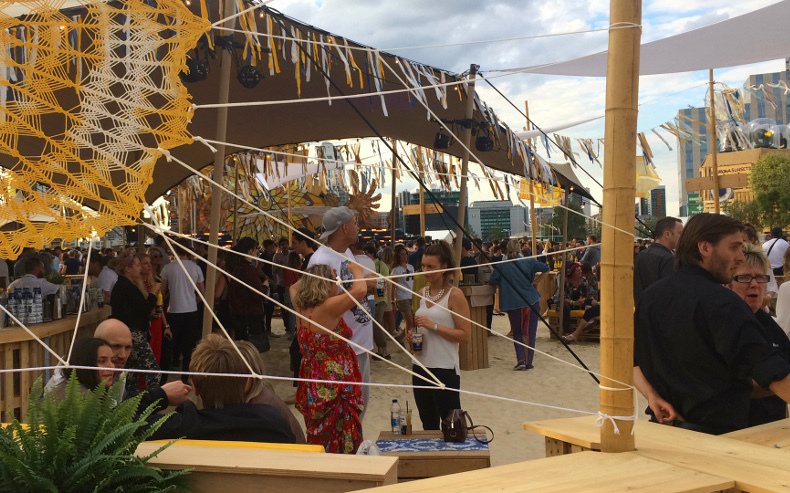 They have all included colourful murals on the walls, Corona branded lighting, and a bar serving the brand’s beer as well as a number of Corona-based cocktails. The events are designed to bring the magic of a sunset beach party to everywhere they are staged. 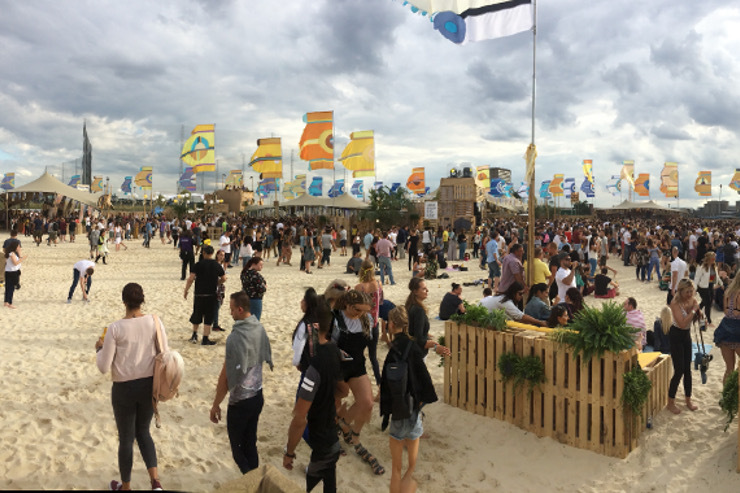 For Corona’s SunSets Beach in London 2016, organisers Loudsound asked Gorilla to manage the design and installation of a 7000m2 sandy beach at Meridian Quays, to create a genuine beach feeling where festival goers would be happy to take off their shoes and walk barefoot through the sand. 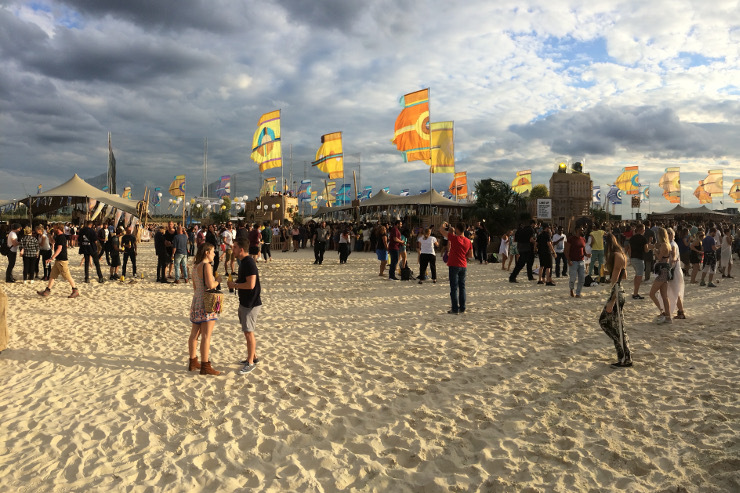 Design and logistical planning for artificial beach specification. Installation of 2.2km of waterproof membrane, cut and joined to fit. 2 x 5t diggers, 1 x 13t digger and 1 x 6t dumper truck used to manoeuvre sand. 12 person team on-site for 9 days in total. Sand collected and returned after the event for cleaning and reuse. Gorilla teams were on site for 9 days in total. 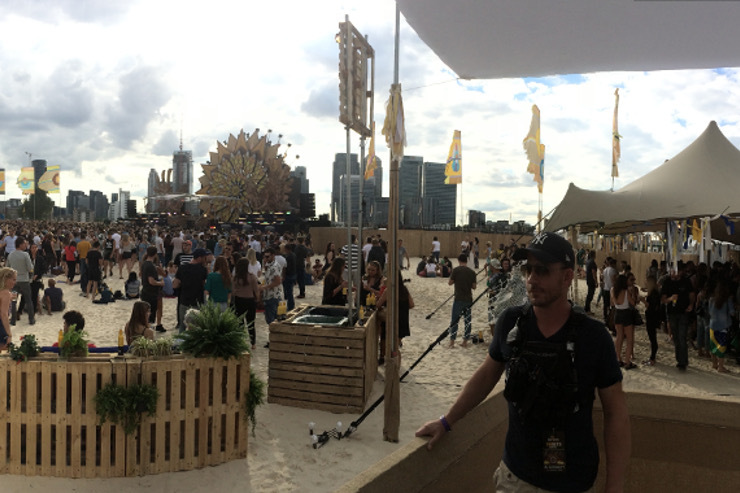 Gorilla delivered a large, safe and clean temporary beach on a tight schedule into a brand live event space, with careful planning and design ensuring the whole project ran smoothly and helped to deliver a memorable UK leg of the Corona SunSets Festival.